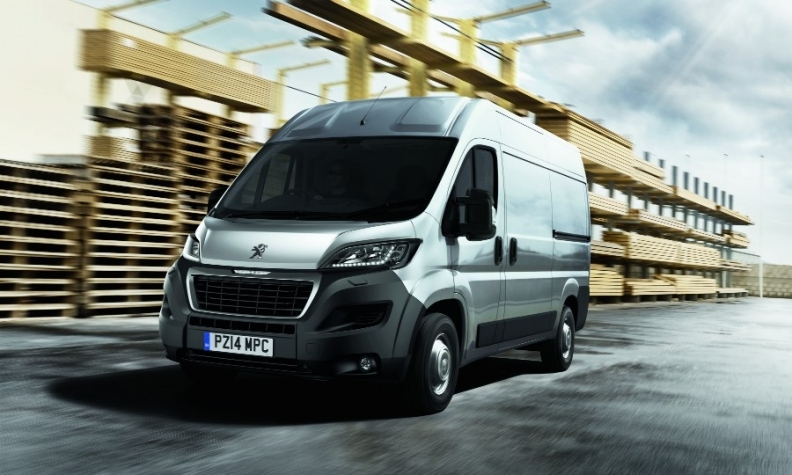 No automotive group sells more LCVs in Europe than PSA (Peugeot Boxer shown), which significantly boosted its leading position in the market with last year's acquisition of Opel/Vauxhall. 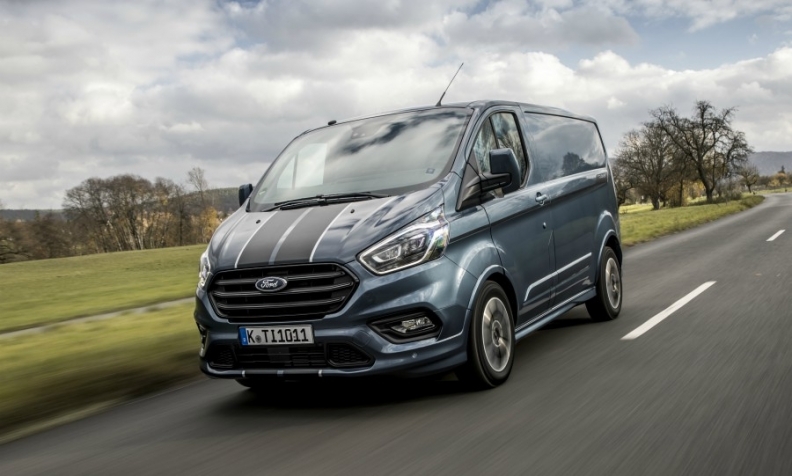 The large vans favored by delivery drivers and tradespeople across Europe may blend into the background, but for automakers, they are pure gold. Vans have high profit margins -- up to 10 percent or even more, analysts say, comparable to a well-equipped SUV. Their development costs are lower and less technology-intensive. And the European market -- forecast to grow by double digits by 2021 -- is relatively stable and predictable. 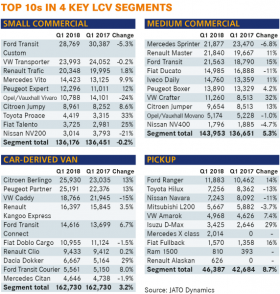 Since 2016, Ford, PSA Group and the Renault Nissan Mitsubishi alliance have created stand-alone light commercial vehicle (LCV) business units to take advantage of cross-brand synergies, increase profits and ultimately take market share from rivals in an intensely competitive market. Those profits are hard-won, however. Fleet buyers and individual business owners are ruthlessly focused on two things: total cost of ownership and practicality, analysts say. Ford was Europe's leading LCV brand last year, led by the No. 1-selling Transit Custom van. The European Union category for LCVs is N1 -- “vehicles for the carriage of goods and having a maximum mass of not more than 3.5 metric tons.” There are three weight classes within the category, roughly up to 1,250 kg, 1,250 to 1,700 kg, and 1,700 kg to 3,500 kg. In practice, most LCVs are vans, though many are modified at the factory or by third-party converters. Pickups can also be classified as LCVs, as can passenger cars, though some countries require that rear side windows be covered and rear seats be removed. This story is from Automotive News Europe's latest monthly magazine, which will also be available to read on our iPhone and iPad apps.You will be able to download the new issue as well as past issues by clicking here. Last year, Ford was the best-selling brand in the European LCV market, with 317,387 sales, including the No. 1 selling model, the Transit Custom van, with 111,130 units sold, according to JATO. Overall, there were 2.02 million LCVs sold, a 3.7 percent increase over 2017. Renault registered 294,196 sales, followed by Volkswagen at 246,414 and Peugeot with 219,788. Citroen, Mercedes-Benz and Fiat also had sales of more than 150,000 units in 2017. Schep said Ford is in the process of relaunching and face-lifting its entire LCV range, starting with the Transit Custom front-wheel-drive one-ton van and the return of the Fiesta Van, a commercial version of the subcompact hatchback. Ford held its lead in the first quarter of 2018, with 84,851 units sold, according to JATO data. The Transit Custom remained the top model with 28,743 sales, but PSA’s sibling small vans, the Citroen Berlingo and Peugeot Partner, totaled a more than 45,000 sales, an increase of about 13 percent year over year. However, the picture is muddied somewhat by an array of shifting cross-company alliances and shared vans within automotive groups. For example, at the group level, PSA is No. 1, with 509,008 sales in 2017 and a 20 percent market share. This includes models from Peugeot, Citroen and its new acquisition, Opel/Vauxhall. But while Peugeot and Citroen vans are, for practical purposes, identical, the compact 2017 Opel/Vauxhall Combo is the same as the Fiat Doblo (and built in the same Turkish factory), the midsize Opel/Vauxhall Vivaro is a version of the Renault Trafic, and the larger Opel/Vauxhall Movano is the same as the Renault Master -- and the Nissan NV400. VW keeps costs down and profits high on the Caddy by building it on its high-volume MQB passenger-car architecture. On the production side, PSA and Fiat Chrysler have the long-running joint venture Sevel Sud in Italy (PSA bought out Fiat’s interest in a similar Sevelnord factory in France). Renault builds the Movano for Opel as well as the Nissan NV400 at its plant in Batilly, France. Nissan’s pickup truck plant in Barcelona makes the new Renault Alaskan and Mercedes X class alongside the Japanese brand’s Navara. PSA’s acquisition of Opel/Vauxhall has shaken up the production map. The group’s new small vans (Peugeot Partner, Citroen Berlingo and Opel/Vauxhall Combo) will be produced at neighboring plants in Portugal and Spain; the previous Combo was built with Fiat Chrysler in Turkey. Vauxhall’s plant in Luton, England, will make the midsized Peugeot Expert, Citroen Jumpy -- and the next-generation Opel/Vauxhall Vivaro, which will move to a PSA design from a Renault variant. Savings start with development. Vans have a long life cycle, and new generations are generally based on previous ones and employ proven -- and long-since amortized -- technologies. “The commercial market benefits from investments that manufacturers make in the passenger car market,” Hristova said. For example, PSA’s new compact vans, the Berlingo, Partner and Opel Combo, were developed jointly with General Motors under a 2012 agreement. They combine the group’s EMP2 passenger vehicle platform at the front with an existing architecture at the rear. Engines are shared with passenger vehicles. 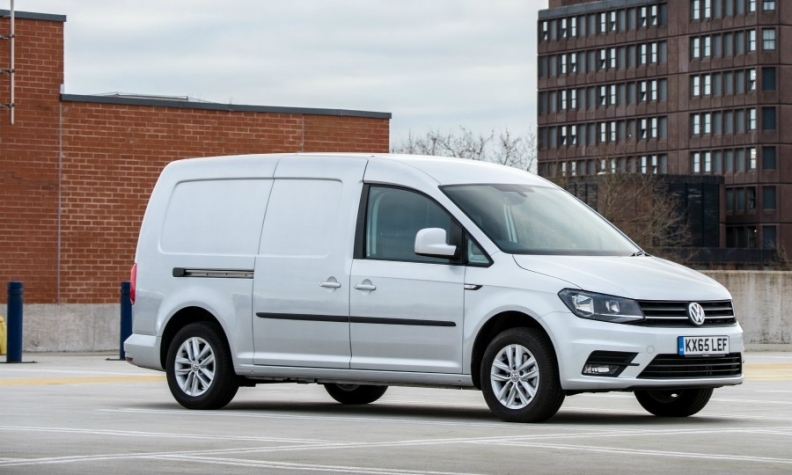 The Volkswagen Caddy, the No. 10-selling model in Europe, uses VW Group’s MQB modular architecture, which will underpin 80 percent of the group’s global sales by 2020. The next generation of the Dacia Dokker (sold in passenger and commercial versions) is expected to use the Renault Nissan Mitsubishi alliance’s CMF platform, Hristova said. With vehicle hardpoints largely dictated by regulations, there are few opportunities for automakers to express their individuality through styling, analysts said. And, while manufacturers are adding more and more expensive technologies and driver aids to passenger cars, many won’t be found on future vans. “We have a lot of professional buyers, who will pay only for what is necessary, so only the most popular features from the passenger car market are introduced to the commercial vehicle market,” Hristova said. What van customers will spend money on is technology that helps their bottom line directly, analysts say. “For example, emergency braking could keep down insurance premiums,” Glendinning said. For its part, Ford is adding modems to its lineup, which will enhance productivity and convenience for businesses, the company says. “Customers will only pay increased prices if you deliver high-quality, productive vehicles that add value to their business,” Ford’s Schep said. Said Ashwani Gupta, who leads the Renault Nissan Mitsubishi alliance’s LCV business unit: “What we want to do first is deploy autonomous features from the viewpoint of driver safety.” Gupta said 80 percent of Nissan’s NV300 vans are fitted with advanced emergency braking. Nissan’s ProPilot, which allows for automatic steering, accelerating and braking in single lanes, will be available in the next frame-based LCVs from Nissan and Renault, he said. Looking to the rest of 2018, analysts say the European market will have minimal or no growth, partly a consequence of those earlier dips. “We expect the market to stagnate” in 2018 said Hristova of IHS. She said vans sold in 2012-13, the market’s recent low point, are at the end of their useful life cycle, so fewer will be needed to replace them. The shift toward online retailing is benefiting small vans, analysts said. It is the only segment, outside of pickups that has grown since 2008, with 529,681 sales in 2017 compared with 390,389 in 2008 before the recession, according to JATO. Automakers are also looking outside of Europe for big gains in the LCV market. PSA has made a major push into South America and is starting van production at its plant in Kaluga, Russia. Renault is aiming to increase sales by 40 percent globally by 2022 and is targeting China in a joint venture with Jinbei Brilliance.